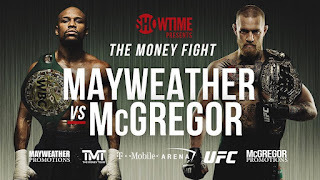 I still can't believe it happened, but on Wednesday night the once-unthinkable became official when Showtime and the UFC announced a crossover superfight between boxing legend Floyd Mayweather and MMA superstar Conor McGregor. 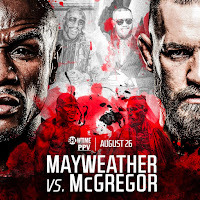 The blockbuster fight takes place August 26 at T-Mobile Arena in Las Vegas, Nevada, and it promises to be one of the biggest-money fights in combat sports history for all parties involved. Mayweather, 40, is one of the greatest boxers of all time, but he hasn't fought in nearly two years since a retirement bout against Andre Berto, and he hasn't had a truly exciting fight in a while. 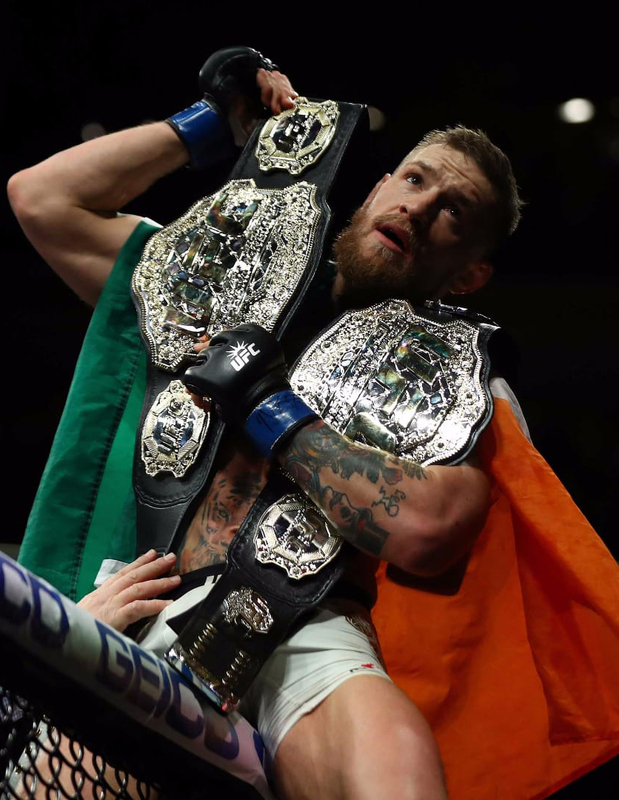 McGregor, 28, won the UFC lightweight championship against Eddie Alvarez in his last bout, then took time off due to the birth of his son. He is in the prime of his MMA career, but he has no professional boxing matches to his credit. Most people expect Mayweather to outclass McGregor and win on points, but the idea that McGregor could win by knockout is what makes things interesting, despite the massive difference in boxing experience between the two fighters. 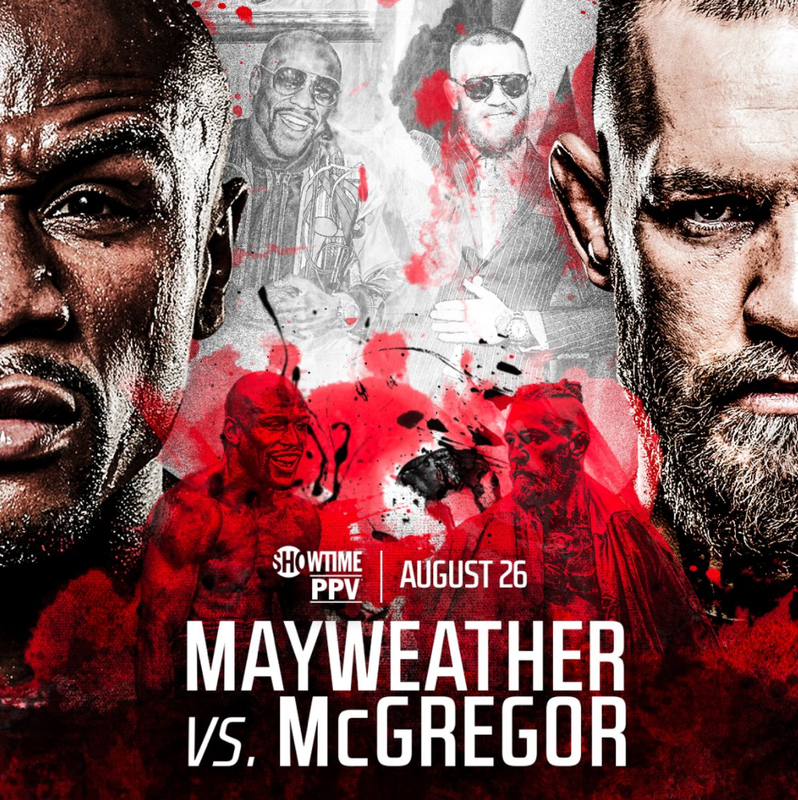 You may be on the fence in regards to whether this is a good fight, a bad fight, or just an okay fight, but regardless of what you think of the merit of a Mayweather vs. McGregor boxing match, you have to admit it's a big fight, and admit there's a lot of money involved. 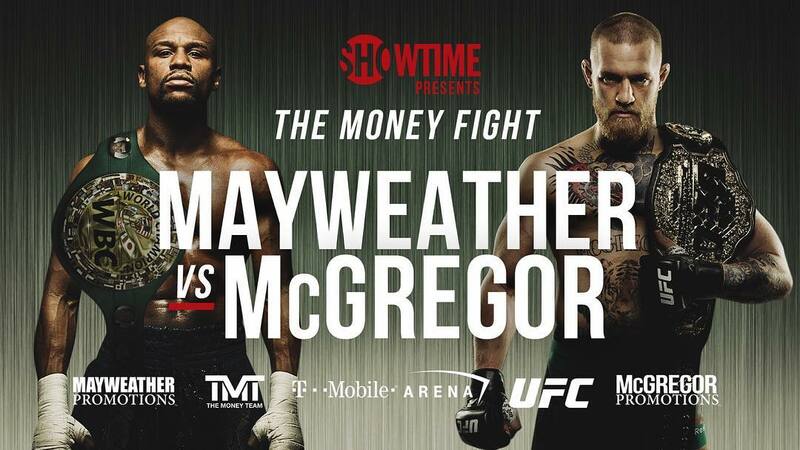 According to an initial report from Kevin Iole of Yahoo, Mayweather and McGregor are expected to make in excess of $100 million each for this fight. That's a lot of money, and that number could wind up being low. Basically, both men and their camps are going to cash in big time, as are Showtime, WME-IMG, Dana White, the PPV providers, T-Mobile Arena, the city of Las Vegas, Nevada State (and its athletic commission), and MMA and boxing websites. After all, there's a lot of money to be made when the pay-per-view is expected to be close to $100 a pop, and likely to sell around 4 million pay-per-views, not to mention tickets to the actual event, which are obviously going to be jacked through the roof. Everyone is going to get a piece of the pie, including McGregor, who will likely make more money in this fight than he has in his entire UFC career to this point. And that's exactly why I'm wondering whether McGregor will even return to MMA and the UFC after this match with Mayweather, at least in the immediate aftermath of the fight. Like I mentioned earlier, he recently became a father and he may want to spend more time with his family. But ultimately it does come down to money. Even though he's the highest-paid fighter in the UFC by a wide margin, the amount of money he'll make from this Mayweather fight will dwarf any of his UFC paydays to date, and likely his total career earnings as an MMA fighter. After making $100 million or more against Mayweather, why would McGregor return to the UFC, where he'll make a lot less money to fight dangerous guys like Tony Ferguson, Khabib Nurmagomedov and Nate Diaz? It's damage he's going to take for no real reason, since he's filthy rich already. 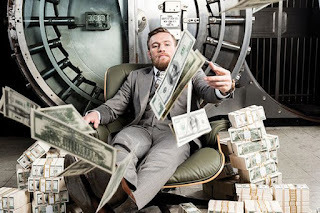 If you're in McGregor's shoes, sure it's good to be greedy and keep fighting and making money, and he can still make some decent money from the UFC. But on the flipside, retiring at a young age and living the good life with your wife and child is also a real option. As a fan of the sport, of course I hope McGregor returns to the UFC and defends the UFC lightweight title after this Mayweather "freakshow," but I'm not counting on it. There were also comments made by UFC President Dana White about McGregor returning to defend his belt that don't exactly inspire confidence. As transcribed by Damon Martin of FOX, White says he's "pretty confident" that McGregor is excited to defend the UFC Lightweight Championship after the Mayweather bout, but he also says nothing is a guarantee. Sure, maybe McGregor told White and the UFC in negotiations for the Mayweather fight that he'd come back to the UFC after, but if he did it was likely a negotiating tactic. And even if McGregor did come back to the UFC, he'd want a massive bump in pay, and with WME-IMG in massive debt after buying the UFC, who knows if they could even meet his post-Mayweather price. In reality, I don't know what the future holds for McGregor, but judging from the clues we do know, I think it's definitely fair to question whether he plans to return to the UFC after fighting Mayweather. After such a massive payday, who knows if McGregor will ever want to fight again, especially in the UFC where his purse will be a lot lower. For all we know, McGregor's last fight will be against Mayweather, so enjoy it for what it is, because we may not see him fight again for a long time.